SpaceX is getting back on the launchpad after their rocket explosion in June. 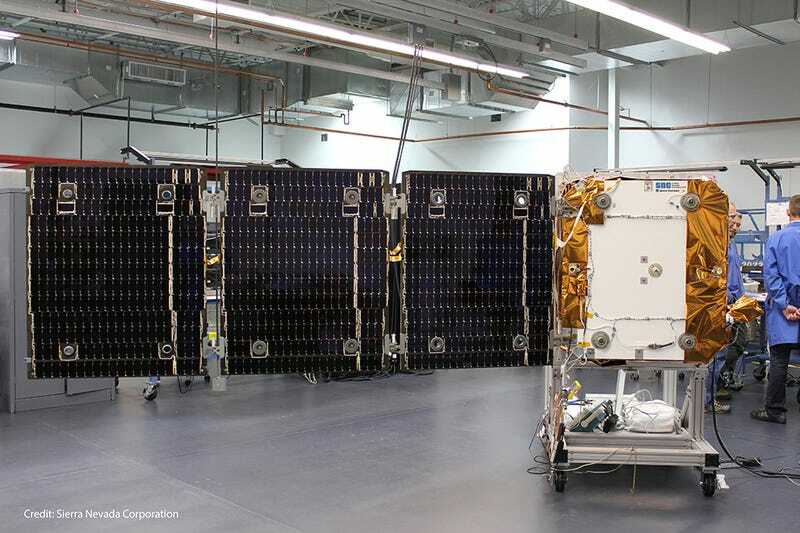 The first payload is a constellation of eleven miniature relay satellites that will launch in late 2015. “The Orbcomm 2 mission does not require a relight of the second stage engine following orbital insertion. Flying the Orbcomm 2 mission first will therefore allow SpaceX to conduct an on-orbit test of the second stage relight system after the Orbcomm 2 satellites have been safely deployed. This will be the first launch since a SpaceX cargo run went critically awry when a strut brace broke on June 28, 2015. The payload is on-target to launch in six to eight weeks, with a currently-unspecified launch window likely in late November or early December. The launch will be using a newly-modified design for the Falcon 9 rocket that was already in testing before the rapid unscheduled disassembly in June. The bulked-up rocket will be able to boost larger payloads into orbit while still preserving enough fuel for barge landing attempts. SpaceX released test footage of the new rocket in a static fire test with densified fuel in September.